Sofia by Sofia Vergara is a passionately constructed fragrance inspired by Sofia's unrivaled beauty, charm and unforgettable magnetism. The exquisite scent opens with a sparkling cocktail of cassis buds, juicy black berries and luscious plum nectar, to evoke Sofia's playful energy. Notes: Blackberry, Sparkling Cassis Buds, Plum, Purple Violet, Colombian Rose, Colombian Orchid, Earthy Woods, Vanilla, Sandalwood. A juicy, exotic fruity floral fragrance inspired by the allure of a tropical utopia. 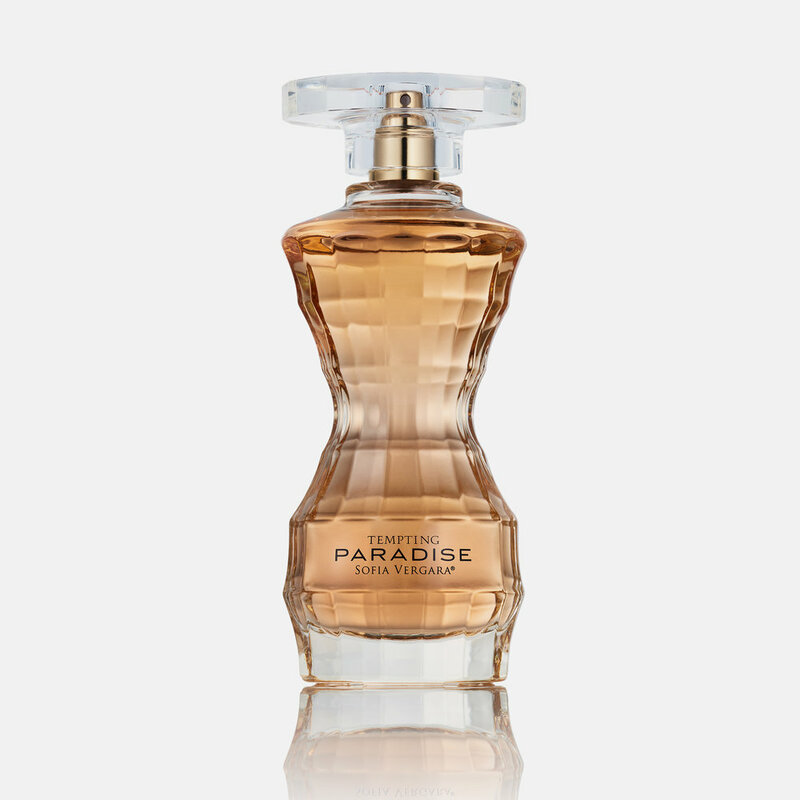 Tempting Paradise by Sofia Vergara entices with a vibrant and beautiful blend of sweet lulo fruit, magnolia blossom and captivating guava flower. Escape to paradise. A sultry, magnetic oriental fruity fragrance inspired by love's passionate embrace. Notes: Mandarin, Passion Fruit, Orange Blossom, Columbian Coffee Flower, Magnolia Petals, Purple Andean Orchid, Amberwood, Ambrette Seeds, Vanilla. An addictive and fresh floriental fruity fragrance for the temptress in every woman. Tempting by Sofia Vergara is intoxicating and seductive with an effortless femininity. Dare to desire. Notes: Fresh Cut Pineapple, Mandarin Blossom, Juicy Acai Berry, Colombian Passion Flower, Purple Vanilla Orchid, Star Jasmine, Creamy Sandalwood, Vanilla, Caramelized Musk.